Passionate, dramatic, colorful and psychologically probing, Opera is a fascinating and ever changing art with universal appeal. Open to everyone who would like to begin to develop or widen their knowledge of Opera, this course will explore how Opera works on stage and trace its history during the 18th and 19th centuries. The course will focus on some of the best loved works by Handel, Rameau, Mozart, Donizetti, Verdi, Wagner, Puccini and their contemporaries. 1. 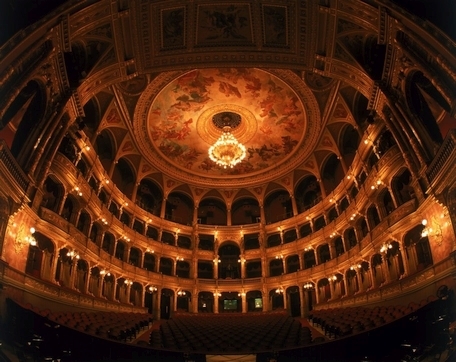 Introduction - conventions and the Operatic paradigm. 2. Opera in the 18th century. 3. Mozart and Italian Opera. 4. Mozart and German Opera. 5. The age of bel canto. 7. Breaking the mold – Wagner’s earlier work. 8. French 19th century Opera. 9. Towards a new art form – Wagner’s later work. 10. Puccini and the art of verismo. David Lesser studied the piano at the Royal College of Music in London and then the music composition at the University of Huddersfield. He was Senior Teaching Fellow in Music and Open Studies Certificate Cocoordinator at the University of Warwick (1993-2007). His music has been widely performed in Britain and Europe by Ensemble Aleph, Accroche Note, Linda Hirst, Ian Pace and others. As a performer he specializes in the music of the Twentieth century, vocal repertoire, and has given a number of world and British premieres. He is active as a composer, performer, lecturer and teacher.